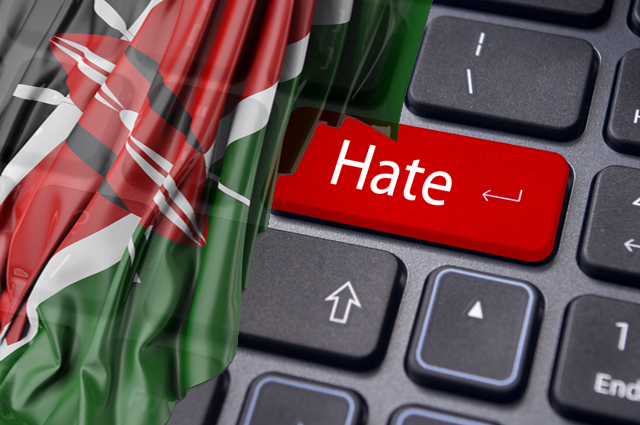 Much has been said about the recently published Hate Speech Guidelines from the Communications Authority in partnership with the National Cohesion and Integration Commission. These Guidelines are on the Prevention of Dissemination of Undesirable Bulk and Premium Rate Political Messages and Political Social Media Content via Electronic Communications Networks. You can access them here. The main reason for the interest on these rules is the purported liability for social media platform administrators. That it shall be the responsibility of the Administrator of a social media platform to moderate and control undesirable content and discussions that have been brought to their attention on their platform. You can read more on that here and here. The key concern is practical enforceability of this particular provision. Notwithstanding, there is another neglected angle to the Guidelines; that is the Consumer Protection and Data Protection aspect. The Communications Authority of Kenya (CA) is the regulatory Authority for the ICT industry in Kenya with responsibilities in telecommunications, e-commerce, broadcasting and postal/courier services. CA is also responsible for the protection of all users of telecommunications services with respect to prices, quality and variety. Political Messages must bear the name of the Political Party or individual disseminating the Political Message. They should not contain offensive, abusive, insulting, misleading, confusing, obscene or profane language. In addition to this, they should not contain inciting, threatening or discriminatory language that may or is intended to expose an individual or group of individuals to violence, hatred, hostility, discrimination or ridicule on the basis of ethnicity, tribe, race, colour, religion, gender, disability or otherwise. Further, political Messages shall not contain attacks on individual persons, their families, their ethnic background, race, religion or their associations. This limits cyberbullying which has been on the increase especially during the elections season. The guidelines introduce strict pre – deployment processes that must be adhered to by the content service providers. This includes the need to lodge an application to the Mobile Network Operator or the Mobile Virtual Network Operator at least forty-eight (48) hours before sending the message. Additionally, the lengthy list of requirements to be met would be deterrent to sending of inciteful or hateful messages. The Guidelines give power to the MNO/MVNO by giving them the right to refuse the transmission of a proposed Political Message over its network that it views not to be in compliance with the law. This means if a Party for instance, Chama Chema attempts to send an annoying message, Safaricom or Airtel can simply refuse to facilitate the same thus curbing the spread of the same. Furthermore, to curb the spread of improper messages founded on tribal undertones all Bulk, premium rate messages and political CRBTs must be communicated in English and Kiswahili language only. Additionally, Bulk or Premium Rate Content may only be sent out during the day between the hours of 08:00hrs and 17:00hrs. CSPs are prohibited from sending unsolicited Bulk or Premium Rate Content to customers who have not subscribed for the service and must ensure that all recipients of Political Messages have opted into the service. Such opt in will require the express consent of the recipients and opt-out procedures must be clearly notified to customers, kept functional at all times and should be free-of-charge. Just to show how serious this is being taken, Content Service Providers must produce evidence of such consent immediately upon request by MNOs or MVNOs or any other concerned governmental body or regulator. Meaning, if you raise a complaint for a text message you received without subscription (we have all received those ones), the sender may be called upon to show how you gave consent through alleged subscription. Content Service Providers shall take legal responsibility for the content of Political Messages despite the messages not being necessarily theirs. This raises the bar because knowing that they will be held liable for content provided through their platform means they will closely and more keenly watch the content they’re given to disseminate. Also, these providers are all expected to strictly adhere to the law regarding the use of customer databases. . Any unauthorized use, sharing or sale of existing customer databases for purposes of sending out Political Messages, Poll Tracking and lobby activities may lead to the immediate suspension of the inter-operability agreement between the Content Service Provider and the mobile network operator. Such suspension essentially means the CSP cannot effectively run any business operations because they wouldn’t have an access method to the consumers. Kenya doesn’t have a Data Protection law and Consumer Awareness is very low. Most of us rarely complain beyond social media rants and end up being aggrieved and very infuriated. These Guidelines are timely and are a step in the right direction in terms of these two factors.